The discerning traveler can get an insider’s view of Shanghai, Beijing, Hong Kong and the surrounding regions with a bespoke service that caters for their needs in every detail. Luxury Concierge China (LCC) was established in 2006 with a focus on Shanghai and its neighboring cities and provinces. As our expert staff and our capabilities have expanded, LCC can now offer urban safaris in Beijing and Hong Kong as well. Deeply knowledgeable and fully bespoke, our company provides a wide range of services, including private guided experiences, personalized concierge services, travel consultancy or a complete itinerary for a special, VIP or corporate event. Our objective is to show you China on your terms – whatever your definition of luxury is, we will strive to meet it. Co-founders Spencer Dodington and Jonathan Hasson, who have a combined total of more than 28 years of Shanghai experience, head the LCC team, which is compiled of a group of senior experts with specialized knowledge of history, architecture, contemporary art, local religions, regional cuisines and more. Our experts speak a variety of languages: English and Mandarin (mandatory), Italian, Spanish, Shanghainese, German, Japanese, and French. Simply choose your expert and language for your ideal China experience. Whatever your interest, from art to architecture, cuisine to Chinese medicine, LCC can design an exclusive package. We offer two types of private-guided experiences: Traditional and Exceptional. Traditional experiences focus on the must-see aspects of China’s great cities, such as Shanghai’s Art Deco masterpieces, Beijing’s historic hutongs, and Hong Kong’s remarkable shrines and temples. Though these destinations are not necessarily unusual, LCC is positioned to take the experience to a new level, adding our personal expertise and insider connections for a unique and truly bespoke journey. Extraordinary experiences are very specific, one-of-a-kind explorations into a particular aspect of Chinese culture. You might dine at the studio of a rising star in Chinese contemporary art, while he paints a portrait of you. Perhaps you’d like to tour the rarely visited citadels of Fujian and Guangdong with an expert in these architectural styles. Or you might spend a day at a center for traditional Chinese medicine, and receive your own personal diagnosis. If there’s a particular area of interest you’d like to delve into, LCC can handle any type of request. LCC also offers a full concierge service, including VIP airport welcome, hotel recommendations and/or bookings, transportation and logistics arrangements, shopping assistance and information on the hottest bars, restaurants and events. 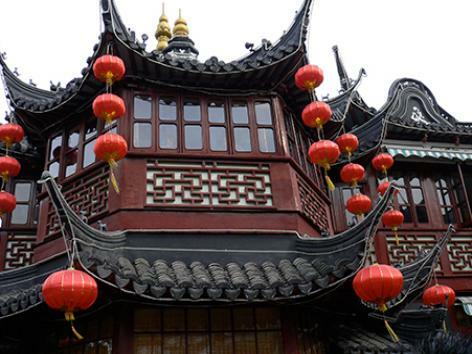 When traveling to any new city, especially in a place as exotic as China, insider knowledge is invaluable. We keep our fingers firmly on the pulse of China’s exciting and ever-changing culture. For the latest happenings and discoveries – and inspiration for your next China adventure – check out the Buzz column on our website. You’ll see just how dialed in our experts are, and how capable we are of making your travels in China seamless, totally unique and completely unforgettable. If you want to truly understand this fascinating country, with its many alluring faces, LCC is the perfect guide.